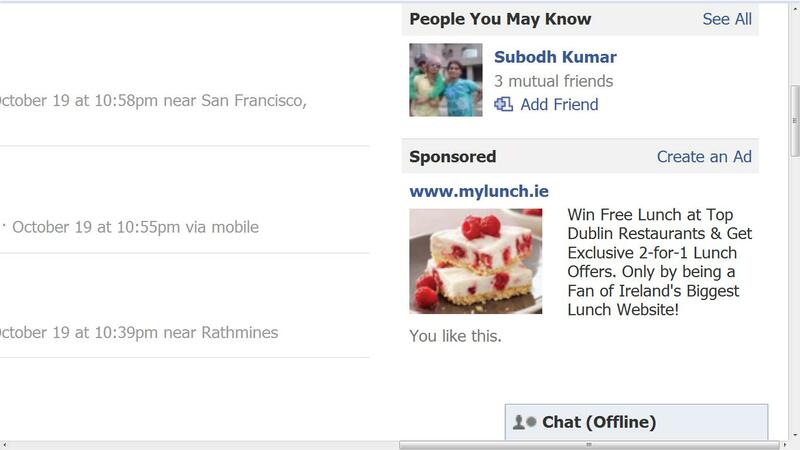 Below are some of my digital marketing undertakings with mylunch.ie, of which I am a co-founder & with which I was working for 2 years. We wanted to make our Facebook as engaging as possible so that the likelihood of people “liking” our page having clicked on it was increased. This was achieved through prominent, eye-catching graphics & by giving people an incentive to like (revealing content only available to fans of the page). 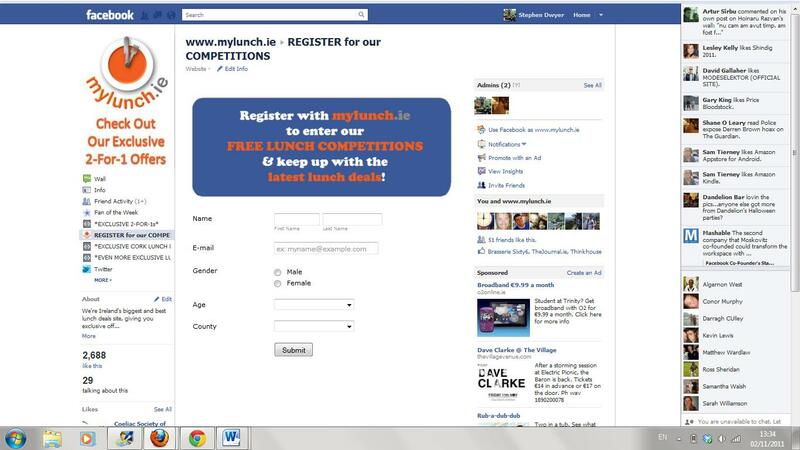 Other tabs let people register with our site & share our content without having to leave facebook. See below for how I went about this. Once we gained people’s initial interest we then engaged with them further & ongoingly by providing content (links, discussions, competitions) relevant to our target audience.The fact that we were a finalist at the Social Media Awards 2011, in the facebook for business category, shows that we had taken a correct approach to gaining & maintaining a facebook following. 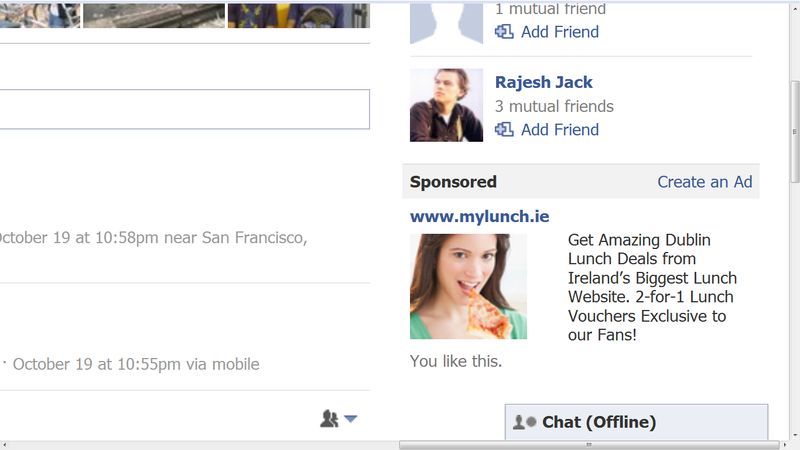 Another primary communication tool for mylunch.ie is the consumer weekly e-zine. There are a number of considerations to bear in mind when planning an e-zine but the 2 main ones are having engaging content & presenting it in an engaging manner. See below for how we went about achieving these 2 goals. 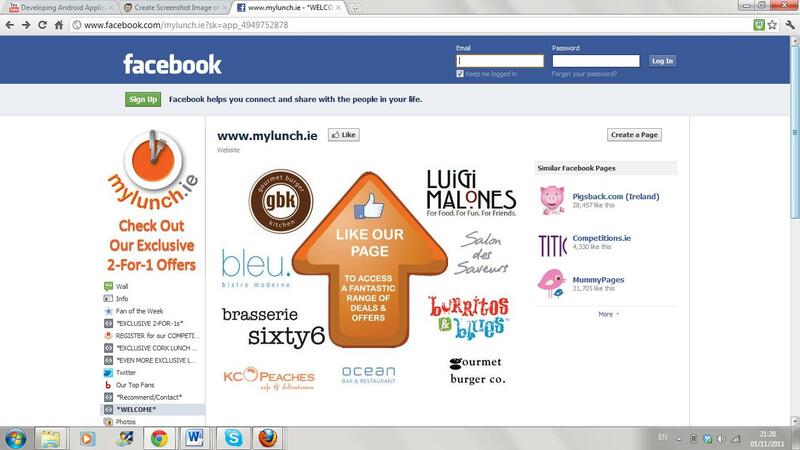 The header & artwork used mirror that of the mylunch.ie website to give the e-zine a degree of familiarity. The content provided is typically advice on where to get a value-for-money lunch, & consumers can click through to the site to get further information on the recommendations. As if this was not enough for consumers, prizes for free lunches at one of our partner retailers were put up for grabs. Much like the facebook presence, incentives for people to share our content with their friends were given strong consideration. Such was the level of satisfaction with how we went about our email communications that brands (such as McDonalds, shown in the example) wanted to sponsor a presence within the emails on a frequent basis. 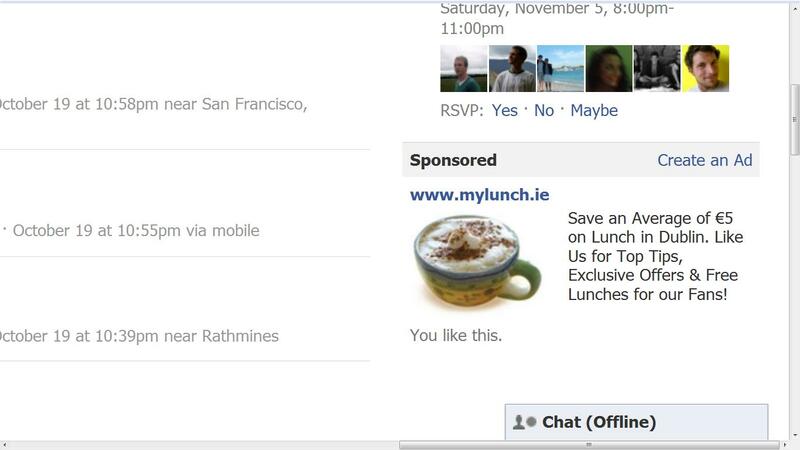 The mylunch.ie blog was a key marketing resource for us. It allowed us to showcase stories that we could promote through our newsletters and social media profiles. It was primary means for us to deliver fresh, interesting news to consumers and showcase our personality. It kept people on site longer and gave them a reason to visit other than just to decide on lunch, which was helpful in boosting ad revenue for us. We often ran competitions via the blog and tried to generate as much discussion as possible via the comments section of the blog. As you can see in the example below we used a facebook plugin to allow people to comment. This not only made it easy for people to comment it also meant proliferation of our blog content via the facebook wall out to the facebook friends of whoever commented. As was demonstrated above, we optimised our facebook page so that the likelihood of “liking” after clicking on the page was increased. To get people onto our Facebook page we ran ads on facebook for short number of weeks, to see how well it would work for us. See below for a sample of the ads I put in place, & the result achieved. 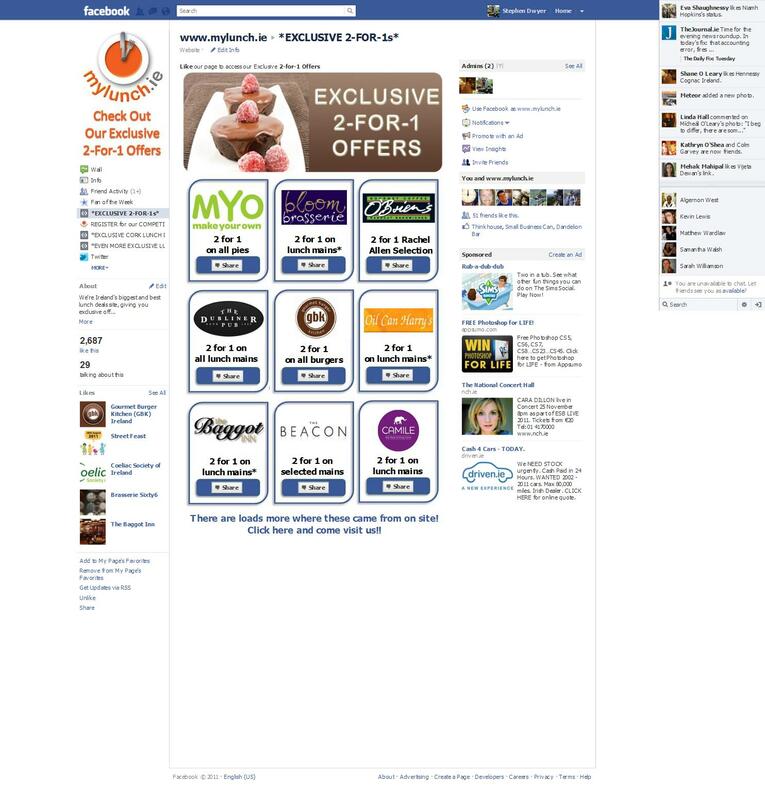 Over a 3 week period 3 separate campaigns achieved 228 new likes overall, from 356 clicks. There were 521 new likes for the month overall vs 155 in previous month (when we had no ads running). The large number of impressions of the ads put our brand in people’s minds too, even if they did not click on the ads immediately.